The clinical significance of tumor spread has always been appreciated. Yet, in spite of the pioneering work and outstanding contributions of investigators such as D. Coman, H. Green, B. Fisher, S. Wood and I. Zeidman, studies on metastasis rarely achieved the popularity afforded to more esoteric areas of tumor biology. Tumor dissemination, occurring as it does in a responding host and being composed of a series of dynamic int~ractions, is a highly complex phenomenon. Few investigators were brave enough to attempt to unravel the mechanisms involved. Paradoxically, this very complexity may have contributed, in part, to the recent upsurge of interest in metastasis research. More and more researchers are becoming fascinated by the complexities of the cellular interactions involved in tumor spread. Accompanying this intellectual stimulation have been technological advances in related fields which allow the derivation of new model systems. 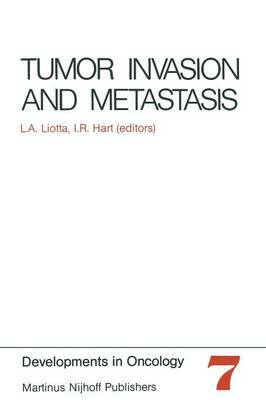 The mechanisms of metastatic spread are increasingly amenable to both the reductionist and holistic approaches and it is the purpose of this volume to present many of these model systems while emphasizing the intricacy and complexity of the processes they mimic. We have attempted to emphasize two topics not previously covered in depth in previous books on metastases. These are in vitro models of invasion and in- teractions of tumor cells with connective tissue.